Welcome to the Garth House web site (the "Site"). Please review the following terms and conditions concerning your use of the Site. By accessing, using or downloading any materials from the Site, you agree to follow and be bound by these terms and conditions. If you do not agree with these terms and conditions, please do not use this Site. Garth House does not warrant that the contents of this Site are error-free. 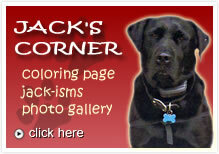 Information on this Site may contain technical inaccuracies and/or typographical or other types of errors and may be changed or updated at any time without notice. Garth House may also make improvements and/or changes in the products and/or programs described on this Site at any time without notice. Garth House will use reasonable efforts to place accurate and up-to-date information on this Site but makes no warranty of its accuracy, completeness and/or timeliness. You acknowledge that your use of any information available through this site is at your own risk. THE MATERIALS ON THIS SITE ARE PROVIDED "AS IS" WITHOUT WARRANTIES OF ANY KIND EITHER EXPRESS OR IMPLIED. TO THE FULLEST EXTENT POSSIBLE PURSUANT TO THE APPLICABLE LAW, GARTH HOUSE DISCLAIMS ALL WARRANTIES, EXPRESSED OR IMPLIED, INCLUDING, BUT NOT LIMITED TO, IMPLIED WARRANTIES OF MERCHANTABILITY, FITNESS FOR A PARTICULAR PURPOSE, NON-INFRINGEMENT OR OTHER VIOLATION OF RIGHTS. GARTH HOUS DOES NOT WARRANT OR MAKE ANY REPRESENTATIONS REGARDING THE USE, VALIDITY, ACCURACY, OR RELIABILITY OF, OR THE RESULTS OF THE USE OF, OR OTHERWISE RESPECTING, THE MATERIALS ON THIS SITE OR ANY SITES LINKED TO THIS SITE. IN NO EVENT WILL GARTH HOUS BE LIABLE TO ANY PARTY FOR ANY DIRECT, INDIRECT, SPECIAL OR OTHER CONSEQUENTIAL DAMAGES FOR ANY USE OF THIS SITE, OR ON ANY OTHER HYPER LINKED WEB SITE, INCLUDING, WITHOUT LIMITATION, ANY LOST PROFITS, LOST REVENUE, BUSINESS INTERRUPTION, LOSS OF PROGRAMS OR OTHER DATA ON YOUR INFORMATION HANDLING SYSTEM OR OTHERWISE, EVEN IF WE ARE EXPRESSLY ADVISED OF THE POSSIBILITY OF SUCH DAMAGES. There are links on this Site that will permit you to travel to other, third-party sites over which Garth House has no control. These links are provided for your convenience only and your use of them is at your own risk. Garth House makes no representations whatsoever about the content of any of these other web sites, or about any of the links contained in the Web sites that you may access through this Site. Garth House does not endorse or accept any responsibility for the content, or use, of any such linked web sites. This Site is maintained, controlled, operated and administered by Garth House from within the United States of America (U.S.). Garth House makes no representation that materials at this site are appropriate for use at locations outside of the U.S. and access to this Site from countries where its content or operation is illegal is prohibited. You may not use this Site or export information or products available on this site in violation of U.S. export laws and regulations. If you access this Site from a location outside of the U.S., you are responsible for compliance with all local laws. The use of this site, its content and these Terms are governed by the laws of the State of Texas, without regard to its conflict of laws provisions. Any legal proceeding arising out of the use of this Site, its content or these Terms must be brought in Houston, Texas and must be brought within one year after the claim or cause of action arises or it is barred. By using this site, you irrevocably submit to the jurisdiction of the State and Federal courts located in Houston, Texas. If for any reason a court of competent jurisdiction finds any provision of these Terms to be unenforceable, that provision shall be enforced to the maximum extent permissible so as to effect the intent of these Terms, and the remainder of these Terms shall continue in full force and effect. The copyright in all material provided on this Site is held by Garth House or by the original creator of the material. Except as stated herein, none of the material may be copied, reproduced, distributed, republished, downloaded, displayed, posted, framed or transmitted in any form or by any means, including, but not limited to, electronic, mechanical, photocopying, recording, or otherwise, without the prior written permission of Garth House or the copyright owner. Permission is granted to display, copy, distribute and download the materials on this Site for personal, non-commercial use only, provided you do not modify the materials and that you retain all copyright and other proprietary notices contained in the materials. You also may not, without Garth House’ permission, "mirror" any material contained on this Site on any other server. This permission terminates automatically if you breach any of these terms or conditions. Upon termination, you must immediately destroy any downloaded and printed materials. Any unauthorized use of any material contained on this Site may violate copyright laws, trademark laws, the laws of privacy and publicity, and communications regulations and statutes. Access to and use of password protected and/or secure areas of the Site is restricted to authorized users only. Unauthorized individuals attempting to access these areas of the Site shall be subject to prosecution. You are responsible for maintaining the confidentiality of any password(s) you are given to access the Site and are fully responsible for all activities that occur under your password(s). You agree to notify Garth House immediately of any unauthorized use of your password(s). 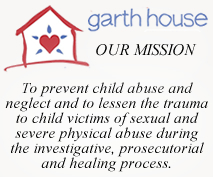 You agree that any information or materials that you submit to Garth House via this Site or any email links provided on this site will not be considered confidential or proprietary. By submitting information or materials to Garth House via this Site or email links provided therein, you represent that you have the authority to grant and in fact do grant to Garth House an unrestricted, irrevocable, worldwide, royalty-free license to use, reproduce, display, publicly perform, transmit and distribute such information and materials world-wide, in whole or in part, and you further agree that Garth House is free to use any ideas, concepts or know-how that you submit for any purpose. Garth House may from time to time send you email. You acknowledge that such emails are sent with your consent and permission.